This sesame miso watermelon poke is a new favourite. 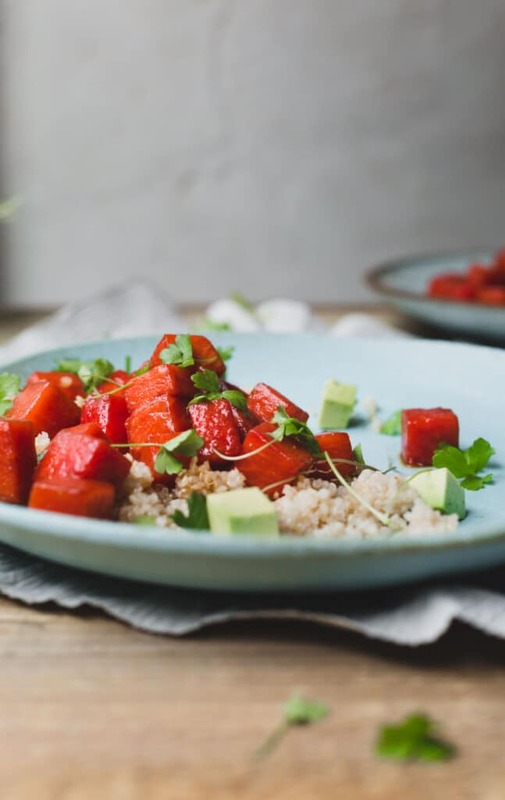 With lightly cured watermelon in an umami loaded sesame miso dressing, this vegan poke is an effortless sweet and savoury bite. Welcome back, friends. I hope everyone had a fantastic festive break and your New Year is treating you with kindness. I have had my head down working on my cookbook and trying to balance my family. So far, I have managed to not completely alienate my daughter so, so far so good. 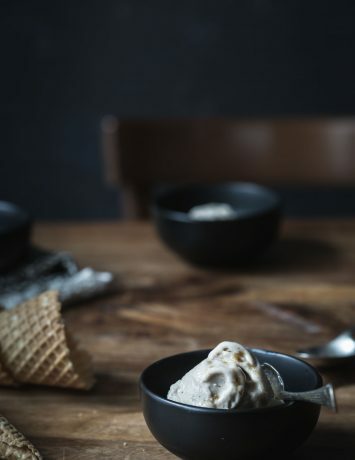 Other than recipe testing, I am trying to spend less time in the kitchen making mainly raw dishes – it’s hot here. If you haven’t tried a poke (pronounced po-kay), you’ve probably been living in my bubble. While I’ve heard of it, I didn’t get around to making one until now. Poke bowls are basically sushi and a nourish or Buddha bowl combined containing raw fish – salmon or tuna, sushi rice, avocado and a soy-based dressing of some sort. 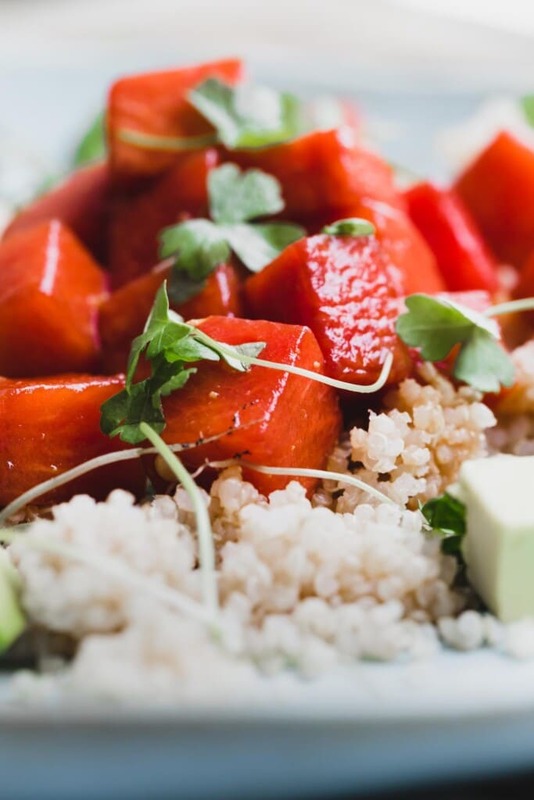 In recent years, poke has become hugely popular ticking all the healthy-eating dietary boxes with each bowl containing a lean protein, healthy fat and gluten-free grains. And now we have a vegan poke too. This vegan poke ticks all my boxes. 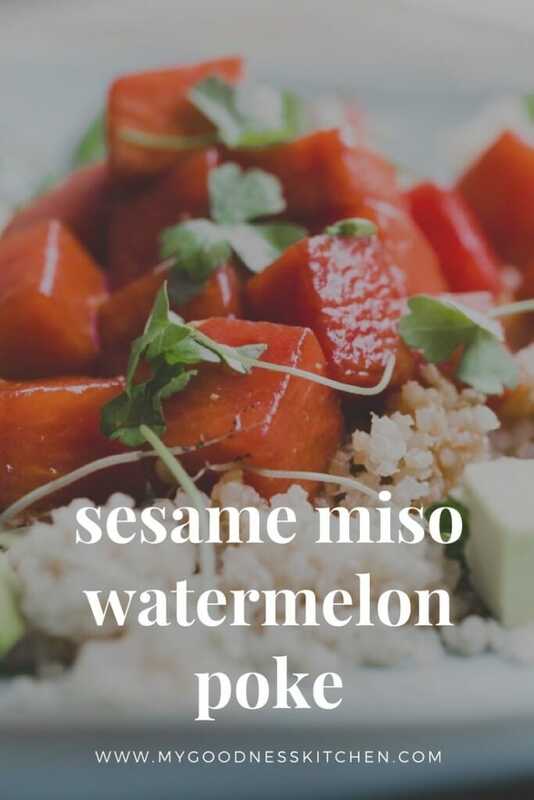 Inspired by a sesame watermelon poke recipe I found on Bon Appetite, my sesame miso watermelon poke takes a few shortcuts by omitting any grilling or marinade reduction relying on curing instead. I found a few hours in the fridge was more than enough to create flavour-packed watermelon with a soft outer and contrasting bitey centre. I used miso instead of tahini but that’s simply a matter of taste. I also subbed out traditional rice for more protein-dense quinoa. Perfectly suited to my current hands-off cooking philosophy, this vegan poke bowl is bursting with delicious umami-ness and sweetness. 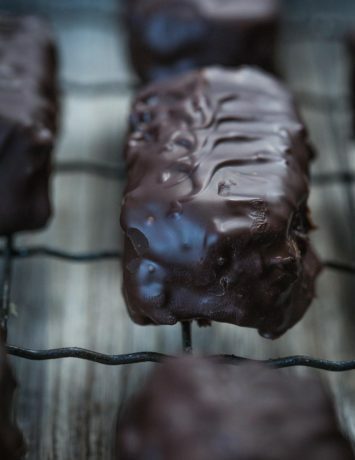 If you like un-cooking, you are going to love this. Cured fresh watermelon, sweet and salty miso, nutty sesame with creamy avocado and fresh herbs, this sesame miso watermelon poke is going in the back pocket. As soon as I take of my pyjamas. 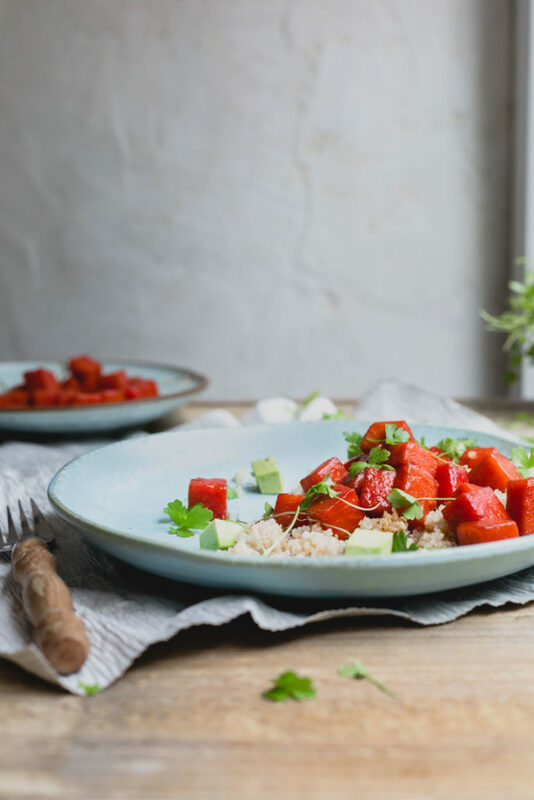 This vegan poke bowl is an effortless combination of sweet watermelon and umami loaded sesame and miso. A simple and quick vegan lunch. Place the cubed watermelon in a medium bowl. Combine the vinegar, sesame oil, tamari, lime juice, miso and ginger in a blender and blend until smooth. Pour the marinade over the watermelon and cover the bowl with film. Place in the fridge to "cure" for at least an hour and up to four. Gently stir one or twice. Spoon a cup of quinoa in to a bowl, followed by a few good spoons of the watermelon. Add cubed avocado and sprinkle with fresh herbs. To finish, drizzle with a little more of the marinade. I Love your site ,Very nice recipe! !My thanks for doing such a good job Amanda! !